Plainview is a quaint Texas town rooted deep in the history of the Lone Star State, yet it’s ready and waiting for you to make new memories of your own. The town’s history dates further back than many in Texas, and the story begins with early inhabitants in search of large bison herds. Part of Hale County, Plainview’s history can be traced back to early nomadic tribesmen who settled in the area between 5,000 to 7,000 B.C. These early Texans spent their lives in pursuit of the great bison, a predecessor of the modern buffalo. Skip ahead in time to 1907 when Plainview was incorporated — it is a time marked by the arrival of the Santa Fe Railroad and the discovery and invention of irrigation pumps as a vast underground water source. Farming became simpler, and the transportation capabilities of the railroads made Plainview an early modern city. Plainview was already home to quality schools, two colleges, an opera house, a modern courthouse and a great deal more when land promoters began seriously selling the irrigated paradise that surrounded the city. The salesmanship worked, and Plainview boomed only to be slowed by the Great Depression. You can’t keep Texans down for long though, as evidenced by the renewed boom after World War II when irrigated farming truly took hold and modern farm equipment made large scale cash crop farming possible. Plainview is now the heart of one of the country's most productive agricultural areas and, as a city, it also has also begun to make the transition from being a strictly agriculture-oriented center of commerce to offering a diversity of business and industry opportunities. Plainview is old and mature enough to recognize and appreciate its roots, but still young enough to consider itself a place of opportunity for anyone with a frontier spirit. Currently, Plainview is home to approximately 22,000 friendly Texans and is located 45 miles from Lubbock. There’s plenty to do when you’re in Plainview, and plenty of places to stay including nine hotels and six RV parks. 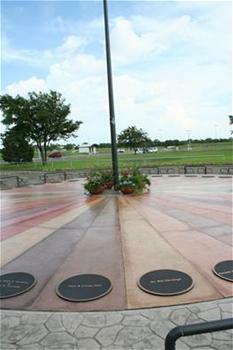 Plan to hang your hat at any of the city’s attractions, which include the Centennial Circle of Honor, the Museum of the Llano Estacado and the Plainview Point Monument. Enjoy the many state parks nearby including the Palo Duro Canyon State Park and the Caprock Canyon State Park. Pack your bags, car, truck or RV and make plans to visit Plainview. You’ll be glad you did, and you’ll certainly find out why Plainview is a GO TEXAN Certified Retirement Community.